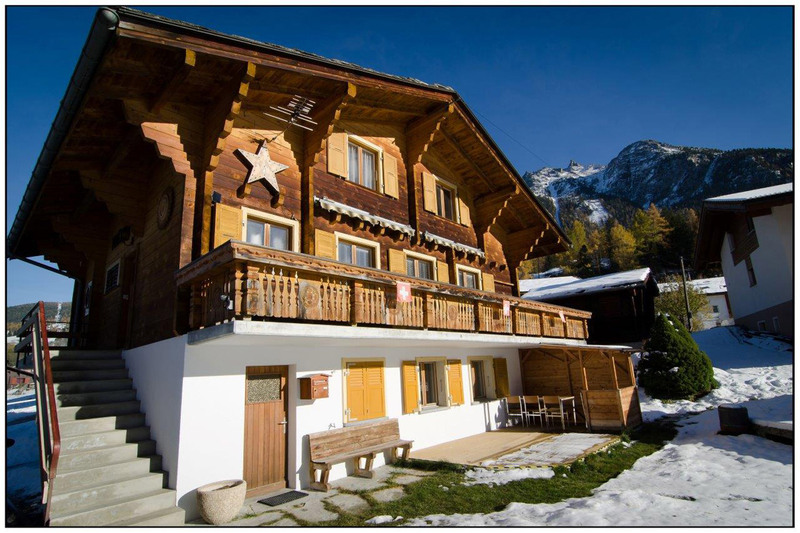 Situated in the Swiss Alps not far from the Matterhorn, Plan 1 Media occupies the ground floor of the studio owner’s ancestral chalet. 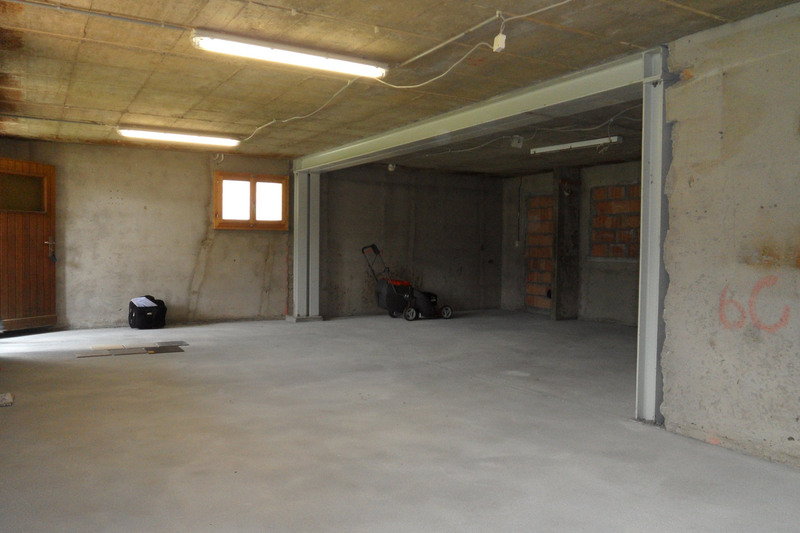 Originally a wood workshop, the building now provides shelter for a thriving recording studio. 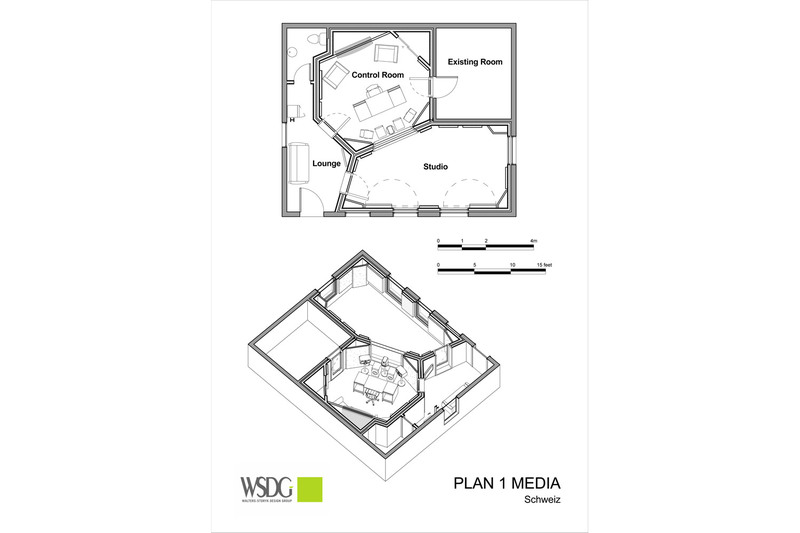 Part of the Plan 1 Media Group, a collective of studios in Munich, Berlin and now St. Niklaus, this WSDG-designed studio was developed to record and mix music for a varied clientele that ranges from traditional Swiss folk music to rock, pop, jazz, blues and the occasional commercial recording assignment. 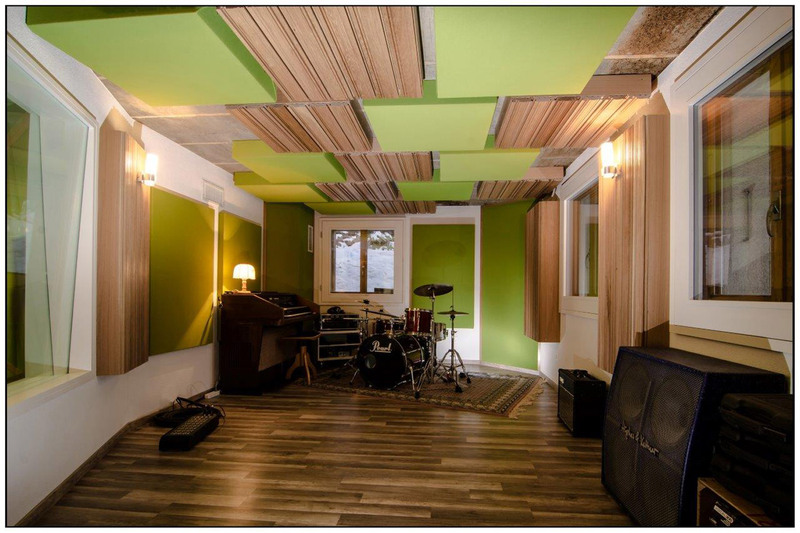 Featuring a bright apple green color palette and trimmed with blond oak, the cozy but surprisingly spacious control and live rooms provide a handsome, cheerful and acoustically ideal creative environment. 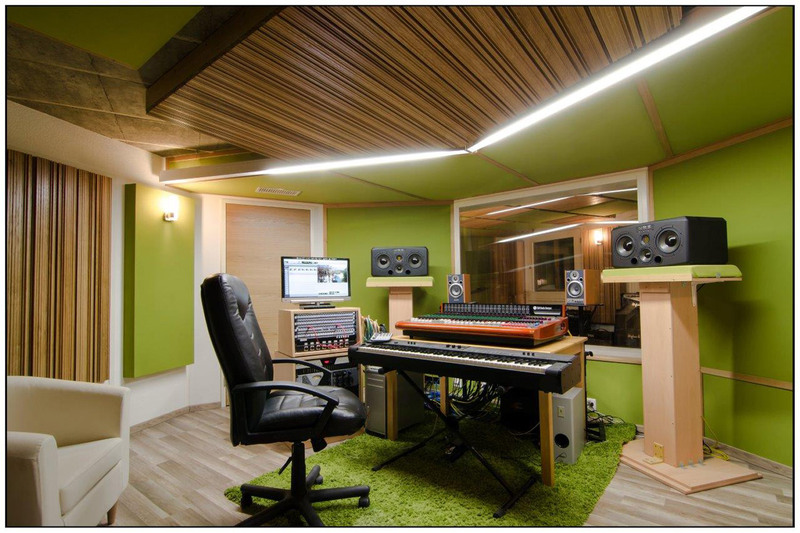 A handsome custom wooden ceiling cloud crowns the sweet spot behind the keyboard and console in the control room. Pedestal mounted speakers frame the window into the live room. 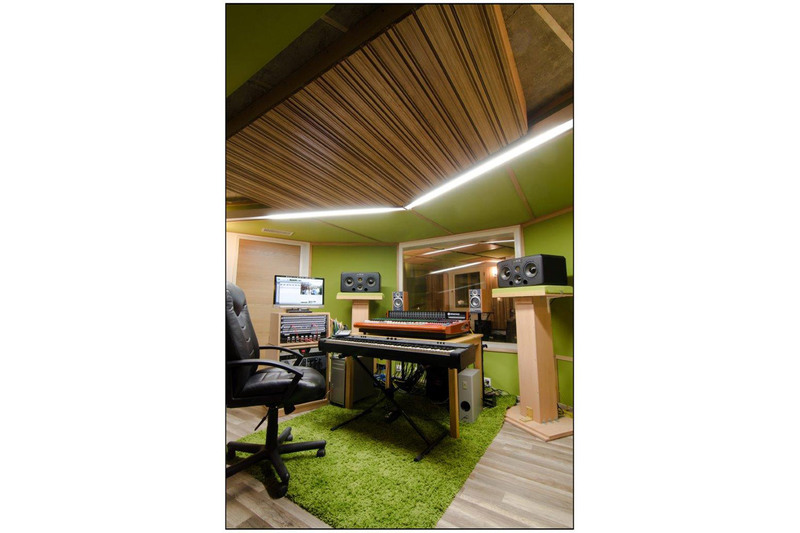 Matching wooden ceiling treatments and variable acoustic panels provide a range of custom room tuning options to meet the needs of a varied client base. The measured reverberation time can thus vary from RT60 = 2.1s (@1kHz) to RT60 = 1.6s (@1kHz). 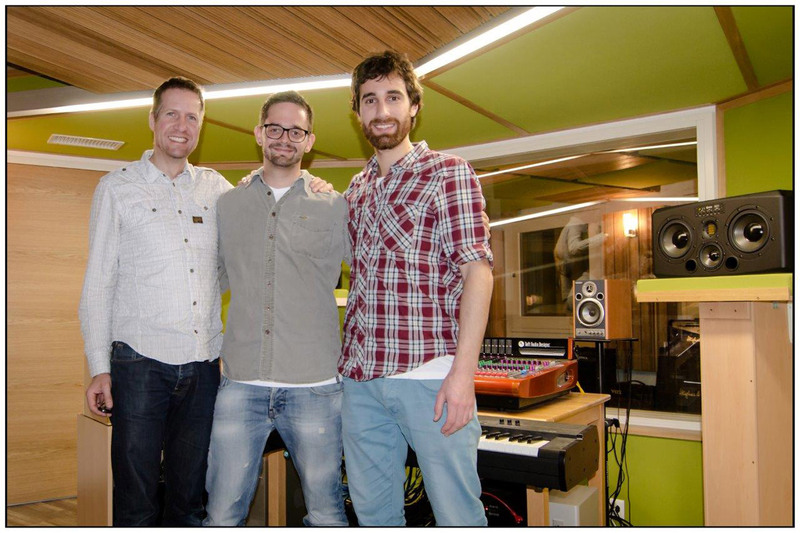 Outfitted with a full complement of technology ranging from ADAM SX3-H, ADAM Sub10 MK2 and Edirol MA-15D Monitors; a 24 Input Toft ATB Console; Antelope Orion 32 Multichannel Converter and MAC PRO to a wide range of software, Outboard gear, mics and musical instruments.